Chetan Bhagat was a great boon for Indian publishing, but he could have done more, writes bestselling novelist Durjoy Datta. In this column, bestselling novelist Durjoy Datta writes on peer Chetan Bhagat. "It’s often said that Chetan Bhagat is the gateway to reading, that he turned hordes of people into readers. But I don’t quite agree. What I do believe is that he made a lot of people read his books, and then stopped," writes Datta. Let’s get the facts out of the way. 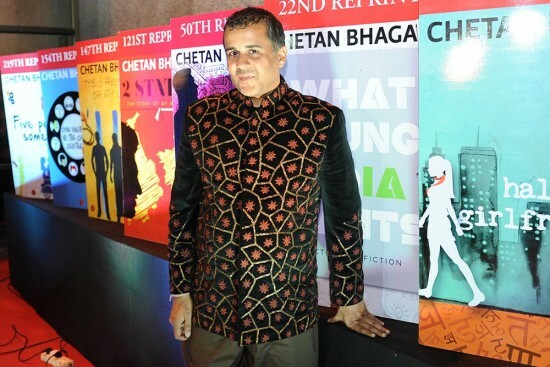 Chetan Bhagat is the ­highest-selling Indian writer in English, and no one else even comes close. As an insider in the publishing industry, I know how sec­retly his manuscripts are guarded, how meticulously the releases are planned, and how much money is at stake for all the players. Without a doubt, he was the first role-model-celebrity-writer for the youth at the time, and maybe even now. Writers competent and incompetent, readers old and new, and reviewers and critics hardly anyone reads, have devoted a lot of space—far more than necessary—to evaluating his writing, so I won’t comment on it. I have read his first three books. I loved Five Point Someone, hated One Night @ the Call Centre, and really wanted to like The 3 Mistakes of My Life, but failed. After that, I didn’t pick up any of his books, or talk about them, and I believe that to be rational reader behaviour. What’s not rational but commonplace is people picking up his book after tiring of him, and then criticising it. More often than not, they pick it up purely to lambast it. To me, that’s inexplicable. The only reason to do that would be to get attention. A lot of Chetan-bashing emanates from the same space—it’s low-hanging, agreeable fruit. It should have been passé long back, and yet people are holding on to it. Not just books, it’s everything he does. There was a huge hullaballoo when he judged Nach Baliye. Everyone was up in arms at the absurdity of a writer judging a dance show. Many writers around me said they wouldn’t do it in a million years. The question I wanted to ask them: would they be asked in a million years? In my opinion, he did a great thing. For a writer to be a real celebrity is the best thing to happen to the publishing industry. It helps sell books, it helps young writers convince their parents it’s a career like any other. Anyway, doesn’t the industry that lampoons Chetan for doing as actors do wag its tail and drool the minute an actor/director/choreographer says he wants to write a book? We go to every length to make him into a writer and give him centre stage at literature festivals. Coming back to his first book, Five Point Som­eone. It released in 2004, when I entered my engineering college, along with a horde of other students who all helped the book became what it did. I’d been reading for a long time, but if you asked me about Indian writers, I would not have recalled any commercial aut­hor except Shobhaa De, who I had not read for the obvious disconnect between the world of her books and mine. The other commercial wri­ters I, and we, knew were all Western imp­orts. The bookstores till then—and even now—were obsessed with Western commercial writers. Many writers said that they wouldn’t judge a dance show in a million years. The question I wanted to ask them: would they have been asked in a million years? When Chetan broke into the scene with Five Point Someone, it was like a breath of fresh air. Just reading Indian names, with an Indian context and an Indian story, was reason enough for a lot of people to read the book and recommend it to others. This book was for us and about us and was accessible, which was in sharp contrast with Indian literary writers, most of whom were better known for their linguistic gymnastics than their stories. The quick three-hour read was relatable, and we could all recognise our behaviours in those characters. The book shot up the bestseller lists, and everyone said Chetan had a lot of money to burn on PR activities. Though he might have done so, I know— having been in the industry for 10 years—there is no way the book could have become what it has without finding its way into people’s minds. It was—and still is—the first book many people picked up in their lives. Sometimes, these people go on to become serious readers. And so, it’s often said that Chetan Bhagat is the gateway to reading, that he turned hordes of people into readers. But I don’t quite agree. What I do believe is that he made a lot of people read his books, and then stopped. He has used his influence to peddle his political views—which I believe is fine—but hasn’t done enough to broaden the industry that he was borne out of. It wouldn’t have been his responsibility had we been a matured industry that doesn’t need anyone like him encouraging people to read widely and deeply, but we are not there yet, and he was in a position where he could have made a significant dent in how people read in India—but he chose not to do that. At the end of the day, though, it’s his prerogative. Notwithstanding the outpouring of hate against him, most of which is performative, there’s no denying the fact that he opened up commercial fiction in India and made publishers believe that Indian writers, unaided by foreign awards, can sell by the million too. Durjoy Datta is a bestselling ­novelist, screenwriter and entrepreneur. His works include The Boy Who Loved and The Boy with a Broken Heart.